Summer trees are very popular romantic symbols. Personalized 6x7 inch summer tree wedding save the date square corner magnets truly embody the essence of romance. Whoever sees it for the first and last time will always remember your special day in a style. 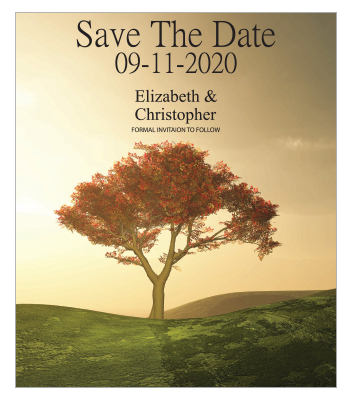 A custom 6x7 inch summer tree wedding save the date square corner magnet will be retained as a great wedding memoir too.